2.49% Financing available up to 60 months!O.A.C. This Vehicle also qualifies for BMW's New Car Lease Rates and Residuals! CARFAX 1-Owner KEY FEATURES INCLUDE Back-Up Camera, Turbocharged, iPod/MP3 Input, CD Player, Onboard Communications System, Aluminum Wheels, Dual Zone A/C. BMW 230i with Melbourne Red Metallic exterior and Black SensaTec/Red Stitching interior features a 4 Cylinder Engine with 248 HP at 5200 RPM*. OPTION PACKAGES PREMIUM PACKAGE Heated Front Seats, Navigation System, Remote Services, Advanced Real-Time Traffic Information, Instrument Cluster w/Extended Contents, Heated Steering Wheel, PREMIUM PACKAGE ENHANCED Auto-Dimming Rearview Mirror, Universal Garage-Door Opener, Auto-Dimming Interior & Driver Exterior Mirrors, Moonroof, SiriusXM Satellite Radio, 1 year All Access subscription, Ambient Lighting, Comfort Access Keyless Entry, Lumbar Support, FINELINE PURE WOOD TRIM W/PEARL CHROME HIGHLIGHT, TRANSMISSION: 8-SPEED SPORT AUTOMATIC (STD). Steering Wheel Controls, Heated Mirrors, Electronic Stability Control, Bucket Seats, Brake Assist. EXPERTS REPORT KBB.com's review says Tossable, light and nimble, the 2018 BMW 2 Series is a true enthusiast's car. Regardless of the numeral on the trunklid, the 2 Series is guaranteed to put a smile on the face of whoever gets behind the wheel.. WHO WE ARE Established in 1982, Pacific BMW has grown to become the premier Los Angeles auto dealer in the Southern California region. Throughout our tenure we strive to include the best possible customer service with top-notch repair/maintenance work and comprehensive new and used car, and SUV inventories. Horsepower calculations based on trim engine configuration. Fuel economy calculations based on original manufacturer data for trim engine configuration. Please confirm the accuracy of the included equipment by calling us prior to purchase. GREAT MILES 6,954! FUEL EFFICIENT 32 MPG Hwy/23 MPG City! Heated Seats, Onboard Communications System, CD Player, iPod/MP3 Input CLICK ME! KEY FEATURES INCLUDE Power Liftgate, Back-Up Camera, Turbocharged, iPod/MP3 Input, CD Player, Onboard Communications System, Keyless Start, Dual Zone A/C, Smart Device Integration. BMW sDrive28i with Alpine White exterior and Black SensaTec interior features a 4 Cylinder Engine with 228 HP at 5000 RPM*. OPTION PACKAGES WHEELS: 19 X 8.0 LIGHT ALLOY Y-SPOKE (STYLE 511) Tires: 225/45R19 All-Season, HEATED FRONT SEATS & STEERING WHEEL Heated Front Seats, Heated Steering Wheel, TRANSMISSION: STEPTRONIC AUTOMATIC sport and manual shift modes and Adaptive Transmission Control (ATC) (STD). Rear Spoiler, MP3 Player, Remote Trunk Release, Keyless Entry, Privacy Glass. EXPERTS REPORT KBB.com's review says The little BMW SUV boasts sharp steering, good power. Yet this doesn't mean it's brutal on the streets. Instead, the new X2 is as comfortable and composed on surface streets as you'd hope.. BUY FROM AN AWARD WINNING DEALER Established in 1982, Pacific BMW has grown to become the premier Los Angeles auto dealer in the Southern California region. Throughout our tenure we strive to include the best possible customer service with top-notch repair/maintenance work and comprehensive new and used car, and SUV inventories. Horsepower calculations based on trim engine configuration. Fuel economy calculations based on original manufacturer data for trim engine configuration. Please confirm the accuracy of the included equipment by calling us prior to purchase. ONLY 9,645 Miles! FUEL EFFICIENT 34 MPG Hwy/24 MPG City! Heated Seats, Onboard Communications System, CD Player, Keyless Start CLICK NOW! KEY FEATURES INCLUDE Rear Air, Back-Up Camera, Turbocharged, iPod/MP3 Input, CD Player, Onboard Communications System, Aluminum Wheels, Keyless Start, Dual Zone A/C, Smart Device Integration BMW 330i with Glacier Silver Metallic exterior and Black SensaTec interior features a 4 Cylinder Engine with 248 HP at 5200 RPM*. OPTION PACKAGES HEATED FRONT SEATS, TRANSMISSION: SPORT AUTOMATIC (STD). MP3 Player, Keyless Entry, Steering Wheel Controls, Child Safety Locks, Heated Mirrors. EXPERTS REPORT If you're seeking a midsize-performance sedan with an unquestioned reputation for performance, quality, luxury and safety, the 2018 3 Series from BMW checks all the right boxes. -KBB.com. OUR OFFERINGS Established in 1982, Pacific BMW has grown to become the premier Los Angeles auto dealer in the Southern California region. Throughout our tenure we strive to include the best possible customer service with top-notch repair/maintenance work and comprehensive new and used car, and SUV inventories. Horsepower calculations based on trim engine configuration. Fuel economy calculations based on original manufacturer data for trim engine configuration. Please confirm the accuracy of the included equipment by calling us prior to purchase. 1.99% Financing available up to 60 months!O.A.C. EPA 32 MPG Hwy/23 MPG City! Heated Seats, Sunroof, iPod/MP3 Input, Back-Up Camera, CD Player KEY FEATURES INCLUDE Power Liftgate, Back-Up Camera, Turbocharged, iPod/MP3 Input, CD Player, Onboard Communications System, Dual Zone A/C, Smart Device Integration BMW sDrive28i with Alpine White exterior and Black SensaTec interior features a 4 Cylinder Engine with 228 HP at 5000 RPM*. OPTION PACKAGES CONVENIENCE PACKAGE Universal Garage-Door Opener, Auto-Dimming Interior & Exterior Mirrors, Auto-Dimming Rearview Mirror, Power-Folding Mirrors, Panoramic Moonroof, SiriusXM Satellite Radio, 1 year All Access subscription, Comfort Access Keyless Entry, Lumbar Support, PARK DISTANCE CONTROL Parking Assistant, WHEELS: 19 X 8.0 LIGHT ALLOY Y-SPOKE (STYLE 511) Tires: 225/45R19 All-Season, HEATED FRONT SEATS & STEERING WHEEL Heated Front Seats, Heated Steering Wheel, TRANSMISSION: STEPTRONIC AUTOMATIC sport and manual shift modes and Adaptive Transmission Control (ATC) (STD). Rear Spoiler, MP3 Player, Privacy Glass, Child Safety Locks, Steering Wheel Controls. VEHICLE REVIEWS The little BMW SUV boasts sharp steering, good power. Yet this doesn't mean it's brutal on the streets. Instead, the new X2 is as comfortable and composed on surface streets as you'd hope. -KBB.com. VISIT US TODAY Established in 1982, Pacific BMW has grown to become the premier Los Angeles auto dealer in the Southern California region. Throughout our tenure we strive to include the best possible customer service with top-notch repair/maintenance work and comprehensive new and used car, and SUV inventories. Horsepower calculations based on trim engine configuration. Fuel economy calculations based on original manufacturer data for trim engine configuration. Please confirm the accuracy of the included equipment by calling us prior to purchase. 1.99% Financing available up to 60 months!O.A.C. EPA 32 MPG Hwy/23 MPG City! Sunroof, Heated Seats, CD Player, iPod/MP3 Input, Dual Zone A/C KEY FEATURES INCLUDE Power Liftgate, Back-Up Camera, Turbocharged, iPod/MP3 Input, CD Player, Onboard Communications System, Dual Zone A/C, Smart Device Integration BMW sDrive28i with Sunset Orange Metallic exterior and Black SensaTec interior features a 4 Cylinder Engine with 228 HP at 5000 RPM*. OPTION PACKAGES M SPORTX PACKAGE Transmission: Sport Automatic, Universal Garage-Door Opener, Shadowline Exterior Trim, M SportX Exterior Package, Power-Folding Mirrors, SiriusXM Satellite Radio, 1 year All Access subscription, Lumbar Support, Comfort Access Keyless Entry, Without Lines Designation Outside, Wheels: 19 x 8 Light Alloy Bicolor (Style 722M), Tires: 225/45R19 All-Season, Auto-Dimming Interior & Exterior Mirrors, Auto-Dimming Rearview Mirror, M SportX Package (33A), Panoramic Moonroof, M Steering Wheel, Alum Hexagon Trim w/Pearl Gray Chrome Accent, HEATED FRONT SEATS & STEERING WHEEL Heated Front Seats, Heated Steering Wheel, FINE-WOOD 'FINELINE' TRIM W/PEARL CHROME ACCENT. Rear Spoiler, MP3 Player, Privacy Glass, Child Safety Locks, Steering Wheel Controls. EXPERTS ARE SAYING KBB.com's review says The little BMW SUV boasts sharp steering, good power. Yet this doesn't mean it's brutal on the streets. Instead BUY FROM AN AWARD WINNING DEALER Established in 1982, Pacific BMW has grown to become the premier Los Angeles auto dealer in the Southern California region. Throughout our tenure we strive to include the best possible customer service with top-notch repair/maintenance work and comprehensive new and used car, and SUV inventories. Horsepower calculations based on trim engine configuration. Fuel economy calculations based on original manufacturer data for trim engine configuration. Please confirm the accuracy of the included equipment by calling us prior to purchase. 2.49% Financing available up to 60 months! O.A.C. Superb Condition. FUEL EFFICIENT 34 MPG Hwy/24 MPG City! Nav System, Heated Seats, Moonroof KEY FEATURES INCLUDE Navigation, Sunroof, Power Liftgate, Rear Air, Back-Up Camera, Turbocharged, Satellite Radio, iPod/MP3 Input, Onboard Communications System, Aluminum Wheels, Keyless Start, Dual Zone A/C, Smart Device Integration. BMW 430i with Black Sapphire Metallic exterior and Black SensaTec interior features a 4 Cylinder Engine with 248 HP at 5200 RPM*. OPTION PACKAGES DRIVING ASSISTANCE PACKAGE Speed Limit Information, Active Driving Assistant, Lane Departure Warning, Forward Collision Warning, pedestrian warning and City Collision Mitigation, HEATED FRONT SEATS. MP3 Player, Keyless Entry, Remote Trunk Release, Steering Wheel Controls, Child Safety Locks. EXPERTS RAVE Edmunds.com explains The steering's accuracy and directness are ideal for a luxury coupe, and the thick M Sport steering wheel feels good in your hands.. OUR OFFERINGS Established in 1982, Pacific BMW has grown to become the premier Los Angeles auto dealer in the Southern California region. Throughout our tenure we strive to include the best possible customer service with top-notch repair/maintenance work and comprehensive new and used car, and SUV inventories. Horsepower calculations based on trim engine configuration. Fuel economy calculations based on original manufacturer data for trim engine configuration. Please confirm the accuracy of the included equipment by calling us prior to purchase. 1.99% Financing available up to 60 months!O.A.C. This Vehicle also qualifies for BMW's New Car Lease Rates and Residuals! ONLY 6,706 Miles! KEY FEATURES INCLUDE Power Liftgate, Back-Up Camera, Turbocharged, iPod/MP3 Input, CD Player, Onboard Communications System, Keyless Start, Dual Zone A/C, Smart Device Integration. BMW sDrive28i with Mediterranean Blue Metallic exterior and Sensatec Oyster/Black interior features a 4 Cylinder Engine with 228 HP at 5000 RPM*. OPTION PACKAGES PANORAMIC MOONROOF, WHEELS: 19 X 8.0 LIGHT ALLOY Y-SPOKE (STYLE 511) Tires: 225/45R19 All-Season, FINE-WOOD 'FINELINE' TRIM W/PEARL CHROME ACCENT, TRANSMISSION: STEPTRONIC AUTOMATIC sport and manual shift modes and Adaptive Transmission Control (ATC) (STD). Rear Spoiler, MP3 Player, Keyless Entry, Remote Trunk Release, Privacy Glass. EXPERTS REPORT The little BMW SUV boasts sharp steering, good power. Yet this doesn't mean it's brutal on the streets. Instead, the new X2 is as comfortable and composed on surface streets as you'd hope. -KBB.com. PURCHASE WITH CONFIDENCE CARFAX 1-Owner VISIT US TODAY Established in 1982, Pacific BMW has grown to become the premier Los Angeles auto dealer in the Southern California region. Throughout our tenure we strive to include the best possible customer service with top-notch repair/maintenance work and comprehensive new and used car, and SUV inventories. Horsepower calculations based on trim engine configuration. Fuel economy calculations based on original manufacturer data for trim engine configuration. Please confirm the accuracy of the included equipment by calling us prior to purchase. 2.49% Financing available up to 60 months! O.A.C. 430i trim, Mineral White Metallic exterior and Black SensaTec interior. KEY FEATURES INCLUDE Navigation, Sunroof, Power Liftgate, Rear Air, Back-Up Camera, Turbocharged, Satellite Radio, iPod/MP3 Input, Onboard Communications System, Aluminum Wheels, Keyless Start, Dual Zone A/C, Smart Device Integration BMW 430i with Mineral White Metallic exterior and Black SensaTec interior features a 4 Cylinder Engine with 248 HP at 5200 RPM*. OPTION PACKAGES CONVENIENCE PACKAGE Heated Front Seats, Active Blind Spot Detection, Lumbar Support, HEATED STEERING WHEEL. MP3 Player, Keyless Entry, Remote Trunk Release, Child Safety Locks, Steering Wheel Controls. EXPERTS ARE SAYING The steering's accuracy and directness are ideal for a luxury coupe, and the thick M Sport steering wheel feels good in your hands. -Edmunds.com. WHO WE ARE Established in 1982, Pacific BMW has grown to become the premier Los Angeles auto dealer in the Southern California region. Throughout our tenure we strive to include the best possible customer service with top-notch repair/maintenance work and comprehensive new and used car, and SUV inventories. Horsepower calculations based on trim engine configuration. Fuel economy calculations based on original manufacturer data for trim engine configuration. Please confirm the accuracy of the included equipment by calling us prior to purchase. 2.49% Financing available up to 60 months! O.A.C. Spotless. Moonroof, Navigation, iPod/MP3 Input, Satellite Radio, Dual Zone A/C, Rear Air KEY FEATURES INCLUDE Navigation, Sunroof, Rear Air, Back-Up Camera, Turbocharged, Satellite Radio, iPod/MP3 Input, Onboard Communications System, Aluminum Wheels, Keyless Start, Dual Zone A/C, Smart Device Integration BMW 430i with Mineral Grey Metallic exterior and Black SensaTec interior features a 4 Cylinder Engine with 248 HP at 5200 RPM*. OPTION PACKAGES TRANSMISSION: 8-SPEED SPORT AUTOMATIC (STD). MP3 Player, Keyless Entry, Steering Wheel Controls, Electronic Stability Control, Heated Mirrors. EXPERTS RAVE Edmunds.com's review says The steering's accuracy and directness are ideal for a luxury coupe, and the thick M Sport steering wheel feels good in your hands.. WHY BUY FROM US Established in 1982, Pacific BMW has grown to become the premier Los Angeles auto dealer in the Southern California region. Throughout our tenure we strive to include the best possible customer service with top-notch repair/maintenance work and comprehensive new and used car, and SUV inventories. Horsepower calculations based on trim engine configuration. Fuel economy calculations based on original manufacturer data for trim engine configuration. Please confirm the accuracy of the included equipment by calling us prior to purchase. GREAT MILES 9,298! FUEL EFFICIENT 32 MPG Hwy/23 MPG City! NAV, Sunroof, Heated Seats, Power Liftgate, Back-Up Camera, Dual Zone A/C SEE MORE! KEY FEATURES INCLUDE Power Liftgate, Back-Up Camera, Turbocharged, iPod/MP3 Input, CD Player, Onboard Communications System, Aluminum Wheels, Dual Zone A/C. BMW sDrive28i with Glacier Silver Metallic exterior and Black SensaTec interior features a 4 Cylinder Engine with 228 HP at 5000 RPM*. OPTION PACKAGES PREMIUM PACKAGE Heated Front Seats, Remote Services, Navigation w/Touchpad Controller, Head-Up Display, Advanced Real-Time Traffic Information, LED Headlights w/Cornering Lights, CONVENIENCE PACKAGE Universal Garage-Door Opener, Auto-Dimming Interior & Driver Exterior Mirrors, Auto-Dimming Rearview Mirror, Power-Folding Mirrors, Panoramic Moonroof, SiriusXM Satellite Radio, 1 year All Access subscription, Ambient Lighting, Comfort Access Keyless Entry, Lumbar Support, PARK DISTANCE CONTROL Parking Assistant, DRIVING ASSISTANCE PACKAGE Active Driving Assistant, automatic high beams, speed limit info, lane departure warning, forward collision warning and city collision mitigation, TRANSMISSION: STEPTRONIC AUTOMATIC sport and manual shift modes and Adaptive Transmission Control (ATC) (STD). Rear Spoiler, MP3 Player, Privacy Glass, Steering Wheel Controls, Child Safety Locks. WHY BUY FROM US Established in 1982, Pacific BMW has grown to become the premier Los Angeles auto dealer in the Southern California region. Throughout our tenure we strive to include the best possible customer service with top-notch repair/maintenance work and comprehensive new and used car, and SUV inventories. Horsepower calculations based on trim engine configuration. Fuel economy calculations based on original manufacturer data for trim engine configuration. Please confirm the accuracy of the included equipment by calling us prior to purchase. 2.49% Financing available up to 60 months!O.A.C. This Vehicle also qualifies for BMW's New Car Lease Rates and Residuals! 430i trim. KEY FEATURES INCLUDE Navigation, Sunroof, Power Liftgate, Rear Air, Back-Up Camera, Turbocharged, Satellite Radio, iPod/MP3 Input, Onboard Communications System, Aluminum Wheels, Keyless Start, Dual Zone A/C, Smart Device Integration BMW 430i with Jet Black exterior and Black SensaTec/Red Stitching interior features a 4 Cylinder Engine with 248 HP at 5200 RPM*. OPTION PACKAGES CONVENIENCE PACKAGE Heated Front Seats, Active Blind Spot Detection, Lumbar Support. MP3 Player, Keyless Entry, Remote Trunk Release, Child Safety Locks, Steering Wheel Controls. EXPERTS CONCLUDE The steering's accuracy and directness are ideal for a luxury coupe, and the thick M Sport steering wheel feels good in your hands. -Edmunds.com. VISIT US TODAY Established in 1982, Pacific BMW has grown to become the premier Los Angeles auto dealer in the Southern California region. Throughout our tenure we strive to include the best possible customer service with top-notch repair/maintenance work and comprehensive new and used car, and SUV inventories. Horsepower calculations based on trim engine configuration. Fuel economy calculations based on original manufacturer data for trim engine configuration. Please confirm the accuracy of the included equipment by calling us prior to purchase. 2.49% Financing available up to 60 months! O.A.C. KEY FEATURES INCLUDE Navigation, Sunroof, Power Liftgate, Rear Air, Back-Up Camera, Turbocharged, Satellite Radio, iPod/MP3 Input, Onboard Communications System, Keyless Start, Dual Zone A/C, Smart Device Integration BMW 430i with Mineral Grey Metallic exterior and Venetian Beige interior features a 4 Cylinder Engine with 248 HP at 5200 RPM*. OPTION PACKAGES M SPORT PACKAGE Heated Front Seats, Alum Hexagon Trim w/Estoril Blue Matte Highlight, Shadowline Exterior Trim, Aerodynamic Kit, Active Blind Spot Detection, M Sport Suspension, Wheels: 18 x 8 Fr & 18 x 8.5 Rr (Style 400M) Star-spoke, Increased Top Speed Limiter, Tires: 225/45R18 Fr & 255/40R18 Rr Perf RFT, M Steering Wheel, M Sport Package (337), Lumbar Support, HEATED STEERING WHEEL. MP3 Player, Remote Trunk Release, Keyless Entry, Child Safety Locks, Steering Wheel Controls. Non-Smoker vehicle. VEHICLE REVIEWS The steering's accuracy and directness are ideal for a luxury coupe, and the thick M Sport steering wheel feels good in your hands. -Edmunds.com. MORE ABOUT US Established in 1982, Pacific BMW has grown to become the premier Los Angeles auto dealer in the Southern California region. Throughout our tenure we strive to include the best possible customer service with top-notch repair/maintenance work and comprehensive new and used car, and SUV inventories. Horsepower calculations based on trim engine configuration. Fuel economy calculations based on original manufacturer data for trim engine configuration. Please confirm the accuracy of the included equipment by calling us prior to purchase. 2.49% Financing available up to 60 months!O.A.C. This Vehicle also qualifies for BMW's New Car Lease Rates and Residuals! 430i trim. KEY FEATURES INCLUDE Navigation, Sunroof, Power Liftgate, Rear Air, Back-Up Camera, Turbocharged, Satellite Radio, iPod/MP3 Input, Onboard Communications System, Aluminum Wheels, Keyless Start, Dual Zone A/C, Smart Device Integration BMW 430i with Jet Black exterior and Venetian Beige Sensatec interior features a 4 Cylinder Engine with 248 HP at 5200 RPM*. OPTION PACKAGES CONVENIENCE PACKAGE Heated Front Seats, Active Blind Spot Detection, Lumbar Support, HEATED STEERING WHEEL. MP3 Player, Keyless Entry, Remote Trunk Release, Child Safety Locks, Steering Wheel Controls. EXPERTS ARE SAYING Edmunds.com explains The steering's accuracy and directness are ideal for a luxury coupe, and the thick M Sport steering wheel feels good in your hands.. OUR OFFERINGS Established in 1982, Pacific BMW has grown to become the premier Los Angeles auto dealer in the Southern California region. Throughout our tenure we strive to include the best possible customer service with top-notch repair/maintenance work and comprehensive new and used car, and SUV inventories. Horsepower calculations based on trim engine configuration. Fuel economy calculations based on original manufacturer data for trim engine configuration. Please confirm the accuracy of the included equipment by calling us prior to purchase. 2.49% Financing available up to 60 months!O.A.C. This Vehicle also qualifies for BMW's New Car Lease Rates and Residuals! 430i trim. KEY FEATURES INCLUDE Navigation, Sunroof, Power Liftgate, Rear Air, Back-Up Camera, Turbocharged, Satellite Radio, iPod/MP3 Input, Onboard Communications System, Aluminum Wheels, Keyless Start, Dual Zone A/C, Smart Device Integration. BMW 430i with Jet Black exterior and Black SensaTec/Red Stitching interior features a 4 Cylinder Engine with 248 HP at 5200 RPM*. OPTION PACKAGES CONVENIENCE PACKAGE Heated Front Seats, Active Blind Spot Detection, Lumbar Support, HEATED STEERING WHEEL. MP3 Player, Keyless Entry, Remote Trunk Release, Child Safety Locks, Steering Wheel Controls. VEHICLE REVIEWS Edmunds.com's review says The steering's accuracy and directness are ideal for a luxury coupe, and the thick M Sport steering wheel feels good in your hands.. VISIT US TODAY Established in 1982, Pacific BMW has grown to become the premier Los Angeles auto dealer in the Southern California region. Throughout our tenure we strive to include the best possible customer service with top-notch repair/maintenance work and comprehensive new and used car, and SUV inventories. Horsepower calculations based on trim engine configuration. Fuel economy calculations based on original manufacturer data for trim engine configuration. Please confirm the accuracy of the included equipment by calling us prior to purchase. EPA 34 MPG Hwy/24 MPG City! Nav System, Heated Seats, Moonroof, Satellite Radio, Back-Up Camera, Onboard Communications System READ MORE! KEY FEATURES INCLUDE Navigation, Sunroof, Power Liftgate, Rear Air, Back-Up Camera, Turbocharged, Satellite Radio, iPod/MP3 Input, Onboard Communications System, Aluminum Wheels, Keyless Start, Dual Zone A/C, Smart Device Integration BMW 430i with Jet Black exterior and Black SensaTec/Red Stitching interior features a 4 Cylinder Engine with 248 HP at 5200 RPM*. OPTION PACKAGES CONVENIENCE PACKAGE Heated Front Seats, Active Blind Spot Detection, Lumbar Support, HEATED STEERING WHEEL. MP3 Player, Keyless Entry, Remote Trunk Release, Child Safety Locks, Steering Wheel Controls. EXPERTS RAVE Edmunds.com explains The steering's accuracy and directness are ideal for a luxury coupe, and the thick M Sport steering wheel feels good in your hands.. MORE ABOUT US Established in 1982, Pacific BMW has grown to become the premier Los Angeles auto dealer in the Southern California region. Throughout our tenure we strive to include the best possible customer service with top-notch repair/maintenance work and comprehensive new and used car, and SUV inventories. Horsepower calculations based on trim engine configuration. Fuel economy calculations based on original manufacturer data for trim engine configuration. Please confirm the accuracy of the included equipment by calling us prior to purchase. LOW MILES - 6,856! FUEL EFFICIENT 32 MPG Hwy/23 MPG City! NAV, Sunroof, Heated Seats, Power Liftgate, Back-Up Camera, Dual Zone A/C CLICK ME! KEY FEATURES INCLUDE Power Liftgate, Back-Up Camera, Turbocharged, iPod/MP3 Input, CD Player, Onboard Communications System, Aluminum Wheels, Dual Zone A/C BMW sDrive28i with Mineral Grey Metallic exterior and Black SensaTec interior features a 4 Cylinder Engine with 228 HP at 5000 RPM*. OPTION PACKAGES PREMIUM PACKAGE Heated Front Seats, Remote Services, Navigation w/Touchpad Controller, Head-Up Display, Advanced Real-Time Traffic Information, CONVENIENCE PACKAGE Universal Garage-Door Opener, Auto-Dimming Interior & Exterior Mirrors, Auto-Dimming Rearview Mirror, Power-Folding Mirrors, Panoramic Moonroof, SiriusXM Satellite Radio, 1 year All Access subscription, Comfort Access Keyless Entry, Lumbar Support, PARK DISTANCE CONTROL Parking Assistant, FINE-WOOD 'FINELINE' TRIM W/PEARL CHROME ACCENT, TRANSMISSION: STEPTRONIC AUTOMATIC sport and manual shift modes and Adaptive Transmission Control (ATC) (STD). Rear Spoiler, MP3 Player, Privacy Glass, Steering Wheel Controls, Child Safety Locks. EXPERTS CONCLUDE KBB.com explains The little BMW SUV boasts sharp steering, good power. Yet this doesn't mean it's brutal on the streets. Instead, the new X2 is as comfortable and composed on surface streets as you'd hope.. WHY BUY FROM US Established in 1982, Pacific BMW has grown to become the premier Los Angeles auto dealer in the Southern California region. Throughout our tenure we strive to include the best possible customer service with top-notch repair/maintenance work and comprehensive new and used car, and SUV inventories. Horsepower calculations based on trim engine configuration. Fuel economy calculations based on original manufacturer data for trim engine configuration. Please confirm the accuracy of the included equipment by calling us prior to purchase. 2.49% Financing available up to 60 months!O.A.C. This Vehicle also qualifies for BMW's New Car Lease Rates and Residuals! 430i trim. KEY FEATURES INCLUDE Navigation, Sunroof, Power Liftgate, Rear Air, Back-Up Camera, Turbocharged, Satellite Radio, iPod/MP3 Input, Onboard Communications System, Aluminum Wheels, Keyless Start, Dual Zone A/C, Smart Device Integration. BMW 430i with Mineral Grey Metallic exterior and Black SensaTec interior features a 4 Cylinder Engine with 248 HP at 5200 RPM*. OPTION PACKAGES DRIVING ASSISTANCE PACKAGE Speed Limit Information, Active Driving Assistant, Lane Departure Warning, Forward Collision Warning, pedestrian warning and City Collision Mitigation, HEATED FRONT SEATS. MP3 Player, Remote Trunk Release, Keyless Entry, Steering Wheel Controls, Child Safety Locks. EXPERTS REPORT Edmunds.com's review says The steering's accuracy and directness are ideal for a luxury coupe, and the thick M Sport steering wheel feels good in your hands.. WHO WE ARE Established in 1982, Pacific BMW has grown to become the premier Los Angeles auto dealer in the Southern California region. Throughout our tenure we strive to include the best possible customer service with top-notch repair/maintenance work and comprehensive new and used car, and SUV inventories. Horsepower calculations based on trim engine configuration. Fuel economy calculations based on original manufacturer data for trim engine configuration. Please confirm the accuracy of the included equipment by calling us prior to purchase. FUEL EFFICIENT 31 MPG Hwy/21 MPG City! LOW MILES - 7,127! Heated Seats, Sunroof, CD Player, iPod/MP3 Input, Dual Zone A/C SEE MORE! KEY FEATURES INCLUDE All Wheel Drive, Power Liftgate, Back-Up Camera, Turbocharged, iPod/MP3 Input, CD Player, Onboard Communications System, Dual Zone A/C, Smart Device Integration. BMW xDrive28i with Galvanic Gold Metallic exterior and Black SensaTec interior features a 4 Cylinder Engine with 228 HP at 5000 RPM*. OPTION PACKAGES M SPORTX PACKAGE Transmission: Sport Automatic, Universal Garage-Door Opener, Shadowline Exterior Trim, M SportX Exterior Package, Power-Folding Mirrors, SiriusXM Satellite Radio, 1 year All Access subscription, Lumbar Support, Comfort Access Keyless Entry, Without Lines Designation Outside, Wheels: 19 x 8 Light Alloy Bicolor (Style 722M), Tires: 225/45R19 All-Season, Auto-Dimming Interior & Exterior Mirrors, Auto-Dimming Rearview Mirror, M SportX Package (33A), Panoramic Moonroof, M Steering Wheel, Alum Hexagon Trim w/Pearl Gray Chrome Accent, HEATED FRONT SEATS & STEERING WHEEL Heated Front Seats, Heated Steering Wheel, FINE-WOOD 'FINELINE' TRIM W/PEARL CHROME ACCENT. Rear Spoiler, MP3 Player, Privacy Glass, Child Safety Locks, Steering Wheel Controls. EXPERTS ARE SAYING KBB.com's review says The little BMW SUV boasts sharp steering, good power. Yet this doesn't mean it's brutal on the streets. 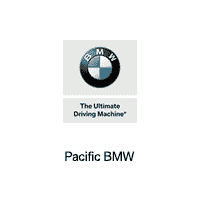 Instead MORE ABOUT US Established in 1982, Pacific BMW has grown to become the premier Los Angeles auto dealer in the Southern California region. Throughout our tenure we strive to include the best possible customer service with top-notch repair/maintenance work and comprehensive new and used car, and SUV inventories. Horsepower calculations based on trim engine configuration. Fuel economy calculations based on original manufacturer data for trim engine configuration. Please confirm the accuracy of the included equipment by calling us prior to purchase. 1.99% Financing available up to 60 months!O.A.C. This Vehicle also qualifies for BMW's New Car Lease Rates and Residuals! sDrive28i trim. KEY FEATURES INCLUDE Power Liftgate, Back-Up Camera, Turbocharged, iPod/MP3 Input, CD Player, Onboard Communications System, Dual Zone A/C BMW sDrive28i with Glacier Silver Metallic exterior and Magma Red Dakota Leather interior features a 4 Cylinder Engine with 228 HP at 5000 RPM*. OPTION PACKAGES CONVENIENCE PACKAGE Universal Garage-Door Opener, Auto-Dimming Interior & Exterior Mirrors, Auto-Dimming Rearview Mirror, Power-Folding Mirrors, Panoramic Moonroof, SiriusXM Satellite Radio, 1 year All Access subscription, Comfort Access Keyless Entry, Lumbar Support, NAVIGATION BUSINESS Remote Services, Advanced Real-Time Traffic Information, WHEELS: 19 X 8.0 LIGHT ALLOY Y-SPOKE (STYLE 511) Tires: 225/45R19 All-Season, HEATED FRONT SEATS & STEERING WHEEL Heated Front Seats, Heated Steering Wheel, FINE-WOOD 'FINELINE' TRIM W/PEARL CHROME ACCENT, TRANSMISSION: STEPTRONIC AUTOMATIC sport and manual shift modes and Adaptive Transmission Control (ATC) (STD). Rear Spoiler, MP3 Player, Privacy Glass, Child Safety Locks, Steering Wheel Controls. EXPERTS ARE SAYING The little BMW SUV boasts sharp steering, good power. Yet this doesn't mean it's brutal on the streets. Instead, the new X2 is as comfortable and composed on surface streets as you'd hope. -KBB.com. WHY BUY FROM US Established in 1982, Pacific BMW has grown to become the premier Los Angeles auto dealer in the Southern California region. Throughout our tenure we strive to include the best possible customer service with top-notch repair/maintenance work and comprehensive new and used car, and SUV inventories. Horsepower calculations based on trim engine configuration. Fuel economy calculations based on original manufacturer data for trim engine configuration. Please confirm the accuracy of the included equipment by calling us prior to purchase. 2.49% Financing available up to 60 months!O.A.C. This Vehicle also qualifies for BMW's New Car Lease Rates and Residuals! KEY FEATURES INCLUDE Navigation, Sunroof, Power Liftgate, Rear Air, Back-Up Camera, Turbocharged, Satellite Radio, iPod/MP3 Input, Onboard Communications System, Aluminum Wheels, Keyless Start, Dual Zone A/C, Smart Device Integration BMW 430i with Black Sapphire Metallic exterior and Black SensaTec interior features a 4 Cylinder Engine with 248 HP at 5200 RPM*. OPTION PACKAGES CONVENIENCE PACKAGE Heated Front Seats, Active Blind Spot Detection, Lumbar Support. MP3 Player, Keyless Entry, Remote Trunk Release, Child Safety Locks, Steering Wheel Controls. OUR OFFERINGS Established in 1982, Pacific BMW has grown to become the premier Los Angeles auto dealer in the Southern California region. Throughout our tenure we strive to include the best possible customer service with top-notch repair/maintenance work and comprehensive new and used car, and SUV inventories. Horsepower calculations based on trim engine configuration. Fuel economy calculations based on original manufacturer data for trim engine configuration. Please confirm the accuracy of the included equipment by calling us prior to purchase.